Are you getting ready to ring in the New Year with the kids? 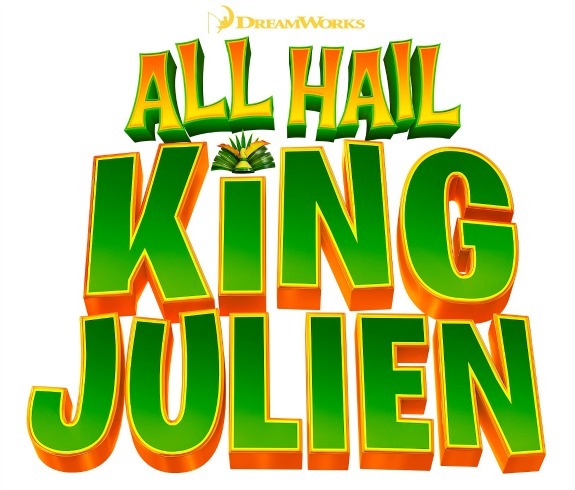 Our friends at Netflix have made it easy for families to celebrate New Year’s Eve together with a new original series on Netflix Streaming — “All Hail King Julien“! The first five episodes are now available. What better way to party than with the biggest party animal from the film Madagascar? A big thank you to Netflix for sponsoring today’s creative New Year’s Eve countdown activities! Did you know that there is a 3 minute clip of King Julien hosting his own on-demand New Year’s Eve countdown? Since it is available to stream whenever you would like, it would be a great option for ringing in the New Year a few hours earlier for little ones who want to join in the celebration without staying up until midnight. Click Here for King Julien’s New Year’s Eve Countdown. Have a Bubble Wrap Stomp — tape bubble wrap to a hard surface floor, and invite the kids to jump on it when the clock strikes 12. Disclosure: I am a member of the Netflix StreamTeam and this is a sponsored post. All opinions are my own.